While much of the groundwork was set last fiscal year, which concluded on June 30, the Board’s efforts will really begin to bear fruits this fiscal year, as already select iGaming and sports betting license applications have been approved, with the first land-based sportsbooks expected to see the light of day in November. Online verticals should hit the ground running shortly after that, with fantasy contest operators having already generated revenue, albeit a rather paltry amount, for the state for several months. In a recently released annual report, the PGCB recaps the past fiscal year, highlighting the whirlwind of developments that shook up the industry, while also telling the narrative of a successful, diverse, and active gambling arena. In FY 2017/18, the PGCB “used its temporary expanded gambling rulemaking authority to write and promulgate regulations” for all of the new gaming initiatives passed as part of Act 42 of 2017. This includes sports betting, which was legalized pending the overruling of the federal ban on sports wagering, PASPA. 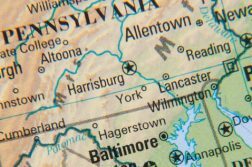 That law was overturned in May by the Supreme Court, and since, four states have already rolled out sports betting operations, with Pennsylvania expected to be either the fifth, or sixth behind Rhode Island. In addition to penning regulations and beginning to accept petitions for online gambling, the PCGB also held public auctions for the new mini-casinos. Five out of a possible ten auctions were held, which collectively generated $127 million in bids for the right to construct a satellite casino. In the report, the PGCB indicates that the timetables have “become more clear on the launch of the other new gaming initiatives.” We received our first real glimpse of those timetables just this week, when newly approved sports betting operator Parx Casino announced that it hopes to have its temporary book at the 360 Lounge up and running in November. The launch would be paired with in-house mobile betting, with a projected launch date of January 2019 for a full online rollout. Penn National, once a vocal critic of all things gambling expansion, was also approved for a sports betting license at Wednesday’s hearing. Pennsylvania’s 12 land-based casinos generated nearly $3.25 billion in Fiscal Year 2017/18, of which 72.4% came from slot machine win. Table games earned $895.3 million, $808.3 million stemming from house-banked games such as blackjack, roulette, and baccarat, and just $57.6 million from poker. In terms of tax revenue, the state locked up almost $1.64 billion from the casino industry, nearly 90% of which came from slots. The large percentage is not only a byproduct of slots being the bigger earner for casino, but also the state’s imposed 54% tax rate on the vertical, versus just 16% for table games. Given the high tax rate on one-armed bandits, it’s little surprise that Pennsylvania casinos hold a hefty percentage of slot wagers. In FY 2017/18, 9.75% of slot bets were held, equating to a return-to-player of 90.25%. A fair amount of the more than $30.1 billion wagered were promotional plays ($627.1 million), which are essentially free bets provided by the house. In June 2018, Pennsylvania averaged 25,737 slot terminals and 1,271 table games. Parx Casino has the most slots at 3,331, and also generated the most slot revenue of any PA casino last Fiscal Year, capping out at just over $400.7 million. Sands Bethlehem once again dominated the table games landscape, supporting 225 tables, which generated an industry leading $216.8 million in revenue. Last year also saw the growth of hybrid tables, or stadium gaming, which took in nearly $27 million across 83 tables industry-wide. That’s roughly 3% of total table games revenue, a percentage that will surely rise in FY 2018/19. The Pennsylvania casino industry continues to promote diversity in the workplace. Last Fiscal Year, 36% of employees represented minorities, with African Americans the most prevalent minority at 14% of the total workforce. The distribution has been largely consistent over the past three years. The state’s casino industry employed 16,882 workers as of June 30, down rather sharply from the 17,736 employed on the same date in 2017, and down more still from the 18,033 working for the industry in mid-2016. While the falloff in employment numbers is not explicitly addressed, it’s easy to envision the proliferation of stadium gaming — where one dealer can service many patrons — having something to do with it. On a more positive note, 43.1% of the workforce was comprised of women, with women accounting for 37% of Executive/Management/Professional Staff. Still, it is worth noting that women encompassed even more of the workforce in FY 2016/17, 45.5%. Pennsylvania casinos remain committed to hiring their own, with a staggering 83% of table game employees calling PA home. That stat is all the more impressive when one considers that many PA casinos are within striking distance of other highly populated states, like New Jersey and Ohio. Although overall casino employment was down last Fiscal Year, the silver lining is that with all the new gaming verticals arising, that number will undoubtedly surge in years to come, especially when Live! Hotel & Casino opens its doors (expected in 2020), adding a projected 1,250 casino industry workers. 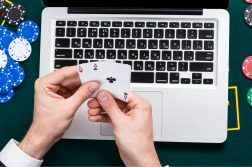 The debut of five mini-casinos, online gambling, and sports betting (both online and live) should also add a significant number of punch cards. A full, separate diversity report can be found here. The Bureau of Gaming Laboratory Operations reviewed 721 gaming-related submissions, and over 7,600 paytables. As of June 30, 12,995 were on voluntary self-exclusion lists, barring them from playing at casino. Of these, 61% (7,958) were male. Most self-excluders opted for the one-year option (58%). 21% chose a five-year timeout, while the remaining 21% gave themselves a lifetime ban. The most common age groups for self-exclusion are 35-44 and 45-54. Caucasians account for 70% on the list.